A study of a horse rearing in profile to the right; with a rider whose right arm is raised above his head to strike at a foe crouching beneath the horse's feet. The group is set upon a triumphal arch, which is vaguely indicated. 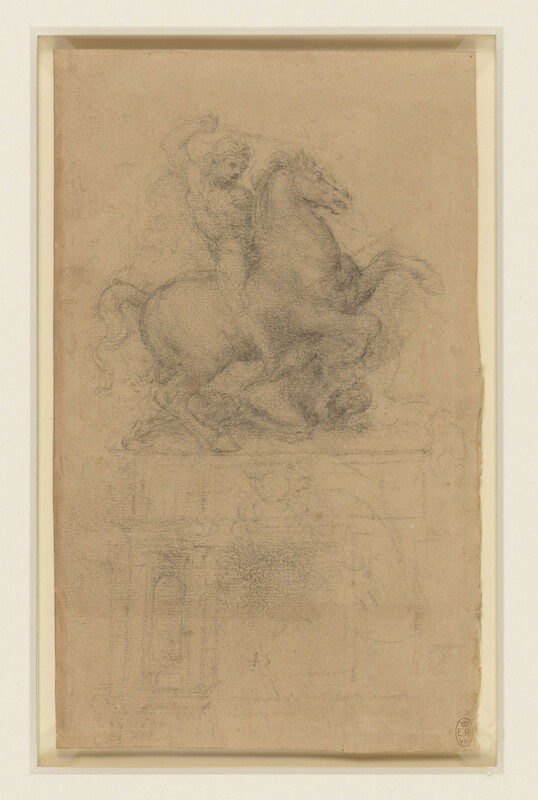 Towards the end of his life Leonardo made several studies for an equestrian monument, probably in honour of King Francis I of France, at whose court he was then employed. Work on the monument itself seems never to have begun.